Note: SynergyLabs is located in Wean 4120 (4th Floor). Come Visit! Jennifer's Office Phone: (412) 268-1202. Location: WEAN 5113. 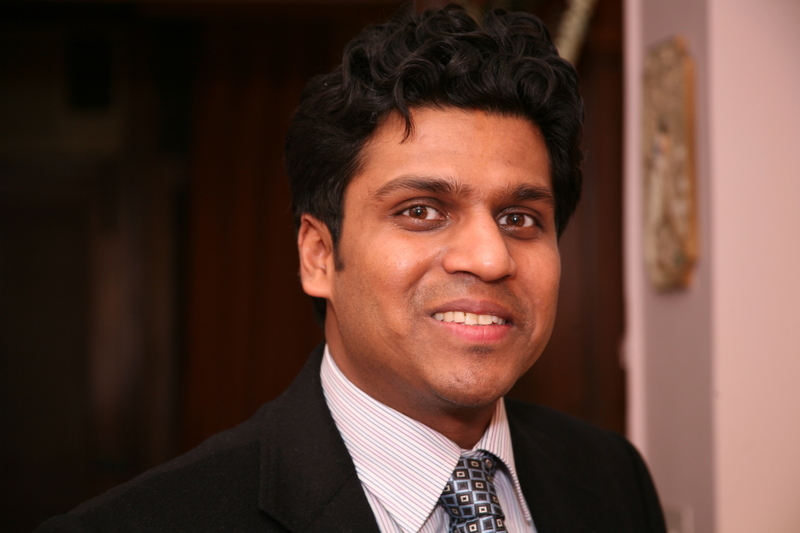 Yuvraj Agarwal is an Assistant Professor in the School of Computer Science, within the Institute for Software Research, at Carnegie Mellon University. His research interests are at the intersection of Systems and Networking and Embedded Systems, and he is particularly excited about research problems that benefit from using hardware insights to build more scalable and energy efficient systems. In recent years, his work has focused on Green Computing, Mobile Computing and Energy Efficient Buildings. Agarwal has a BE in Electrical Engineering from Pune University in India, an MS in Information and Computer Science from University of California at Irvine, and a PhD in Computer Engineering from the University of California at San Diego. He is a member of the IEEE, ACM and USENIX. I grew up in Kanpur, India. My long and arduos educational journey started at Little Folks pre-school, where I spent all my time apparently having fun with friends, and according to my teachers learning the unique skill of "being able to distract the entire class, so as to prevent anyone from doing any useful work". After graduating from Little Folks, I went off to Seth Anandram Jaipuria School, also in Kanpur for Grade I to XII. Next stopover was Pune for my Bachelor's degree. I came to the US to do my M.S. at UC Irvine, and then onto a PhD from UC San Diego in beautiful La Jolla. My father is one of the best engineers I know of. He has the unique honor of going from fixing turntables with cycle tire tubes and random electronic parts when he was a kid, to doing the acoustic modeling of Royce Hall at UCLA for his thesis, working with Robert Altman when Lionsgate Films was less than a dozen people and most importantly following his dream of building a successfull professional audio company (Electro Dynamics, India) from scratch together with my superhuman mom! I am convinced that my mom can do anything that she puts her mind to, including run our family business with my father without having an Engineering degree while raising us! My amazing wife, Gunjan, who I met at UCSD, is not not only a fantastic cook who loves to write poetry but is also a Bio-Engineer by training and now an Intellectual Property Attorney after completing her J.D. degree! My brother, Gautam, finished his M.S. and MBA from UCLA and is at PwC building models to assess the risks with banks and lenders (wish they had called on him earlier!). I am indeed fortunate to have such a wonderful family!